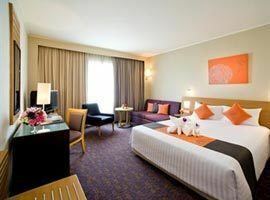 If you want to be located amid the throbbing heart of the city's shopping and entertainment district you should book your accommodation at hotels in Bangkok Siam area. You will be walking distance from public transport including the skytrain inter-section which links train lines to multiple other city destinations. Here flashy high-rise shopping malls like the Paragon, Discovery and MBK with its countless budget outlets to name only a few dominate the city skyline. On the streets you will find many vendor stalls, there are great restaurants, lots of entertainment venues for young and old and within easy reach is the best area for informal shopping in the inexhaustible street markets of Prathunam . The Siam district is home to some of the city's most luxurious accommodation, many of which are located near the Siam Square shopping malls. 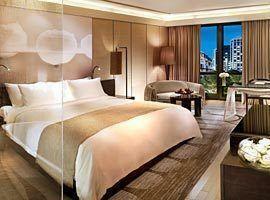 These include the opulent Kempinski, the Pullman King Power, and Centara at Central World. 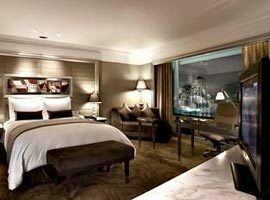 Only 100 meters from this shopping paradise are more affordable hotels like Pathumwan Princess and The Novotel. 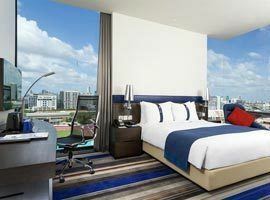 To see a full list of all 89 hotels in this area of Bangkok together with the guaranteed best accommodation deals simply enter your dates in our yellow search box. Located for shopping, near BTS skytrain. Lifestyle centre features award winning spa. 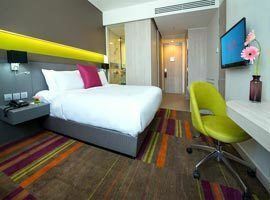 Affordable accommodation offering value for money. Ideal location near skytrain station. 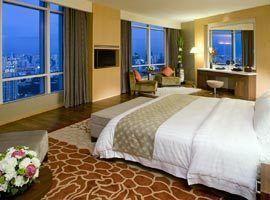 Walking distance from CentralWorld and Paragon shopping malls and steps from BTS Station. 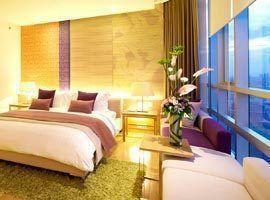 Recommended budget hotel with well appointed rooms near MBK mall, Paragon and discovery mall. Located for shopping, entertainment and leisure. Offering 2 bedroom family suite. Located at the MBK shopping centre Pathumwan Princess offers chic and trendy urban living. Top 5 star accommodation featuring rooms with direct pool access and private Jacuzzis. 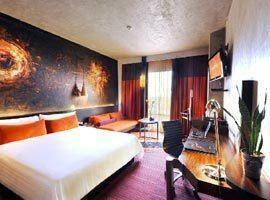 Hip, trendy, modern and playful it is the ideal destination for a young generation jet setters.